Can a tablet replace a laptop? Since the (re)appearance of tablets on the mobile computing scene, an interesting question has been bugging users - can a tablet actually prove to be a worthy replacement of a laptop? Well, it's PhoneArena Knows Best time again, folks, and now we have a reader of ours who's facing this exact problem. Let's see if those funky touchscreen slates have what it takes to become a primary computing device! Grant Pinkert: Hi Phone Arena. Recently I have been looking at this site and others (like C-net and other sites like that) to try and decide what I should upgrade to, and after I saw this I thought that this would be perfect. My laptop is really old now and I just think that it is time to upgrade. My big question is if I should stick with laptops, or should I go with a tablet. I really don't have that many needs, I just need to be able to use email, be able to easily transfer files with a flash drive or SD card, and have a good enough processor to be able to render flash and java easily enough and play. 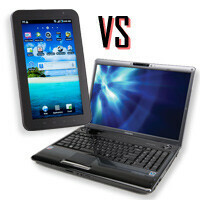 So if you do think that I should go with a tablet, which one should I get? I only need WiFi though, what was mentioned before, a battery that can last a long flight, and expandable memory. I would also rather have an android tablet. My only hitch is that i would like to spend sub $600, and that if i did get a tablet that it would be able to have a very good keyboard dock that I could get with it, also so that it is still under $600. I also don't care what it would be made out of as long as it would be sturdy. So any help that you could give me would be very helpful. Hi Grant! By the looks of it, a tablet will easily get the job done for you, seeing that you don't do any fancy stuff on your computer. However, since you need to be able to easily transfer filed to and from the device, as well as play Flash video, it'll be best to stick to an Android-based tablet, since an iPad can't give you that. It does seem like you've already narrowed the choices down quite a bit. If you really want a good keyboard dock for your tablet, then the Asus Transformer line sounds like the logical way to go. 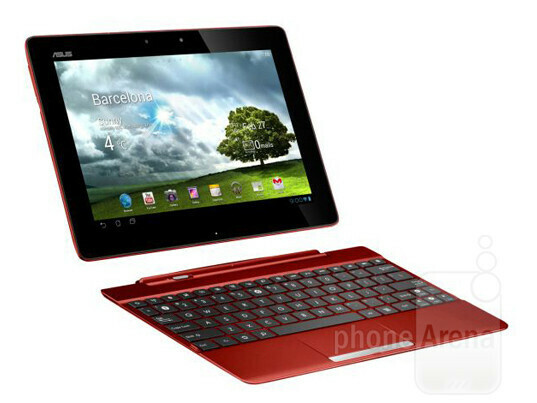 The Transformer tablets have excellent keyboard docks, which are specifically designed to work with them. However, with a maximum budget of $600, most models in that line happen to be out of your reach, due to the fact that their keyboard docks push the price up significantly (though you can always get only the tablet now, save some more, and buy the dock later). The good news is that the Asus Transformer Pad 300 will be available very soon, and it will have a more affordable price tag. That's the model that we'd recommend for you. And don't worry about its affordable nature - it isn't at the expense of specs, as it will still have that sweet quad-core Tegra 3 processor. Of course, if you plan to invest in a tablet and use is as your primary computer, you should be absolutely certain that you aren't going to need the advanced functionality of a laptop in the near future. Well, guys and gals, it turns out that tablets are already feature-rich enough in order to be suitable laptop replacements... if don't do any fancy stuff on your computer, that is. In Grant's case, the Asus Transformer Pad 300 sounds like the best option, but let's see what you guys have to add! Maybe we're missing something out? C'mon, people, let's help Grant find the ultimate device for him! I agree. A tablet with a laptop dock? Maybe.... But I think for real work you would use a laptop. Can have cd/dvd drive, can connect a mouse, have alot more on board harddrive spac, etc.. Even for gaming....so many 'gamers' use keyboards. Can connect a wired controller too... For the laptop dock....all thats needed is some software like Webtop that Motorola is doing with its Android phones....or a full desktop OS that can load and run like Webtop. I agree, but I think the original Transformer should be priced at 299$. for him, yes tablet can be a good decision. but after sometime he will realize the use of laptop is more wide than tablet. i have many friends who own a tablet but still i find them using laptop. they will hardly use tablet. i ask them why did they get tablet if they still use laptop for everything. the only good use of tablet i see is book reading and casual gaming. other than this every tablet owner use laptop as daily driver. I have a laptop and a desktop when WP8 comes out i'll get a tab but only for light gaming, media, reading. my desktop does the heavy stuff and storage and the laptop is portability. From the requirements you have, I can't help but feel that a decent netbook would suffice. Some offer huge battery performance, decent keyboards and enough processing power to do what you need. Obviously, if screen size and keyboard size are important this may sway you away, but for everything else, inclduing the price, a netbook could be ideal. Samsung Series 7(http://www.microsoftstore.com/store/msstore/en_U​S/pd/productID.241554200?WT.mc_id=mercent&mr:track​ingCode=3AA719B2-EC65-E111-B2BE-001B21A69EB0&mr:re​ferralID=NA∨igin=pla&mr:adType=pla): i5 and 4GB of ram?!? I say yes...is ridiculous press a physical keyboard, and thanks Apple for change the norm in touchscreen tech from the 1gen iPhone! well that depends on what you will use it for if you do designing or play heavy graphics games like skyrim or mass effect 3 then laptop is the best choice for you however if you like casual gaming and basic business features like microsoft word or pdf readers and editors tablet is a nice choice but still laptops are more reliable overall. A convertible / netvertible would be a sound compromise. If for tasks like web browsing, music, videos, apps etc yes. But as far as things like say full photoshop, excel, powerpoint etc no not yet. Thanks for the info proto, as ive said in earlier articles im still learning in the mobile phone market. While the Photoshop Touch app is nice, if you use more than 5% of the features in the full version of Photoshop, Photoshop Touch just won't do the job. Plus I would much rather use a mouse, cursor and keyboard along with a USB Tablet and Pen. But then again that could be personal preference.